Have I mentioned how handy Dave is? 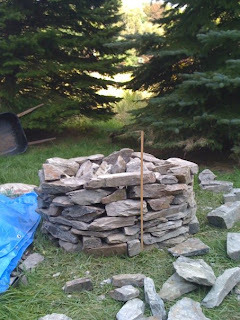 He is a code monkey by day, and has never built anything of stone before, but he started channeling his distant forefathers (Italian stoneworkers, we imagine) as he began to construct the ring to form the stone base of the oven. 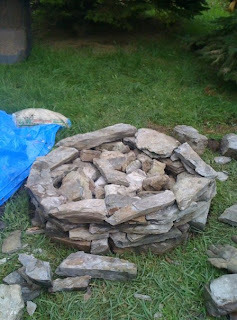 We tried to use the best looking rocks to build the stone ring. 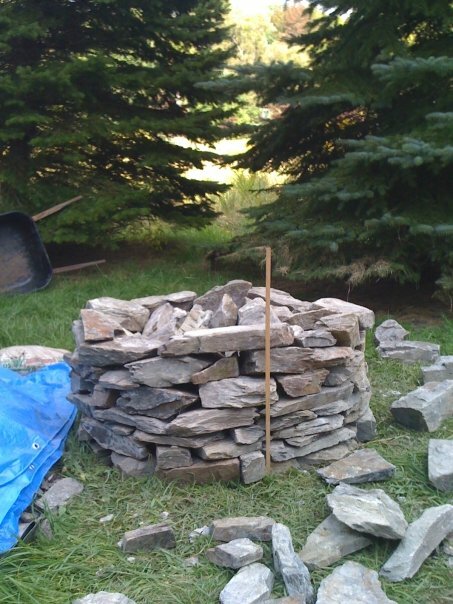 As the ring grew taller, we filled it up with crappier rocks and broken concrete. There's no mortar here -- filling the ring as we went along resulted in a very stable base. We also continually used a level (an app on Dave's iPhone, actually) to make sure we weren't building the Leaning Tower of Pizza (ha-ha, get it?). The vertical yardstick is so that we'd know when to stop building up the base. 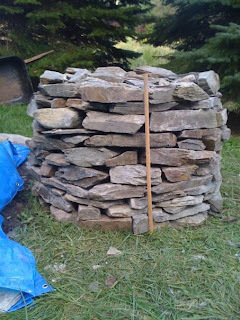 You'll want the cooking base (and the lip of the oven) to be about waist-height, so the stone base is built up until it's about six inches below your waist, which leaves room for about four inches of insulating mass and about one inch of firebrick on top of the stone base. 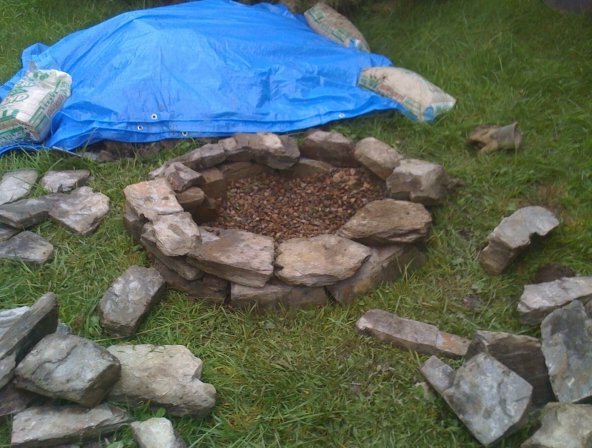 Lest you think I was standing idly by while Dave toiled, please know that I also carefully selected rocks and placed them into cozy niches to form the ring. 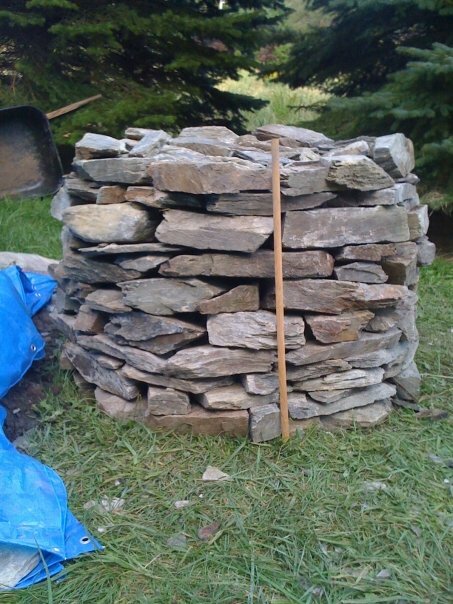 Every time I placed a stone as I saw fit, Dave would look at it thoughtfully, and then quietly move it somewhere else. I knew that the clay would be my metier, so I gave in gracefully, but I warned him that I was going to be the one in charge of molding the clay shape of the oven itself, and that just might turn out to be a sparkly unicorn with wings. Is there a reason why you didnt use a mortar?